Alastair founded Medical News Today (MNT) in 2003 and built a company that became a market leader for medical news on the internet, providing concise and accurate health information to an audience of patients and healthcare professionals. Bringing together a team of dedicated writers, content developers, marketing and administration staff, Alastair led Medical News Today to become one of the top 10 health websites in the world. 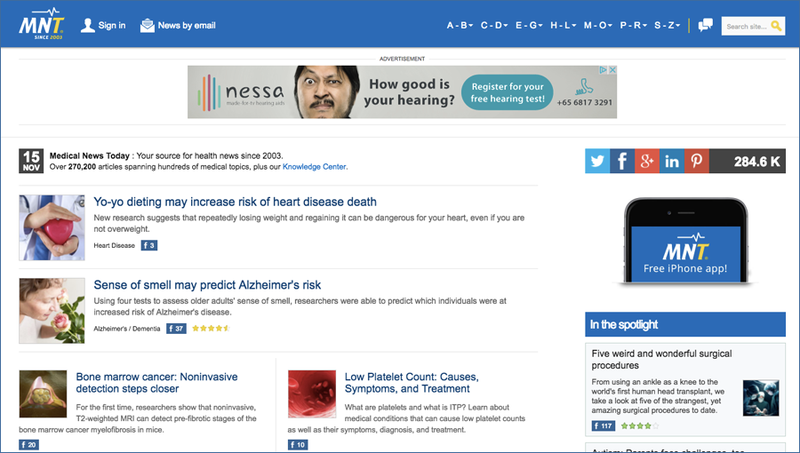 Ranked in the top 360 websites in the United States and top 120 websites in the United Kingdom (according to Quantcast), Medical News Today reached more than 15 million unique monthly visitors, serving over 20 million pages. Taking his company from a tiny seed to one generating a multi-million dollar annual turnover required Alastair to use strategic business and leadership skills. By surrounding himself with talented people who shared his energy and philosophy, Alastair was able to ensure that quality of content – the core strength of the business – was maintained at all times and that the company was not just keeping up with existing trends, but setting new ones. Although the company only had 15 members of staff, with efficient strategy Medical News Today was able to compete with some of the biggest names in internet health media, achieving search engine rankings and domain authority (88 /100) that belied its organisation size. In April 2016, the Medical News Today website and brand, along with sister website MediLexicon, were acquired by Healthline Media – the second largest health media network on the internet. This move bolstered Healthline’s digital health reach to 61 million unique visitors per month. Throughout his time as head of the company, Alastair chose to support causes close to his heart, providing funding to help treat children with medical illnesses and disabilities. One such child was Daniel Pretty, a young boy living with cerebral palsy. You can read the story of his treatment in this article. Alastair believes in the philosophy that as a founder, you strive to build a company that makes an impact. Medical News Today exemplified this.